Call today for product inquiry:  +91- 9810069902. 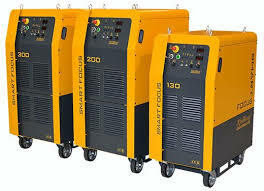 EGP Sales Corporation is well known name in the field of Welding and Cutting Products. Eversince its inception in year 1996 EGP is known for its fair and ethical business practices. Today EGP is more popular as 'Plasma Cutting People'. We are well established name for CNC Flame & Plasma Cutting Machines of MESSER. Copyright © EGP SALES CORPORATION . All Rights Reserved.